As will be shown in this article, aerobic training can be a valuable tool when aiming to increase mass. Learn about this and other facts every bodybuilder should know. In bodybuilding, as in any other discipline, there is much speculation surrounding the various methods and processes underpinning the ways in which to succeed. These speculations often lead to confusion and frustration on the part of the aspiring bodybuilder. For example, there is a misconception, in terms of nutrition, that avoiding fat at all costs will enhance ones health and create a winning physique. Research, however, would prove that strategically including the right type of fats, in the appropriate ratios, will not only improve health, but enhance physical development. "A fundamental requirement for anyone wanting to achieve size is to increase the amount of weight lifted from session to session"
Also, there is a belief that training aerobically will deleteriously impact on muscle growth. As will be shown in this article, aerobic training can be a valuable tool when aiming to increase mass. These are but two examples. There are many others. In fact, there are certain universal truths every bodybuilder should know. The following are guaranteed to improve anyone's physique. A fundamental requirement for anyone wanting to achieve size is to increase the amount of weight lifted from session to session. This increases the intensity of the session and ensures the muscles are subjected to sufficient stress, which will, in turn, elicits results. The beginner bodybuilder would first aim to achieve a certain number of repetitions, with a certain weight (say 10 repetitions with 50 kilograms on the bench press). The following week, 2.5 kilograms would be added, and so on, until the lifter can only complete six-eight repetitions. The aim will then be to, once again, complete 10 repetitions with the weight they are currently achieving six-eight with. The truth is, the only way to progress in bodybuilding is to subject the muscles to greater a greater level of intensity on a continual basis—commonly know as progressive resistance training. In fact, a plateau may ensue if the same intensity is applied to the muscles day in day out. A plateau will halt progress and could diminish results. If one finds they cannot increase their training weight, overtraining might have occurred and this will need to be addressed before further gains can be made (refer to fact 10). Most of today's bodybuilders, and indeed athletes in general, know that protein is an important nutritional component. However, what many fail to realize is to achieve to ones physical goals, protein is required in greater amounts than previously thought. In many quarters it is still thought that 70-80 grams per day is acceptable. This has been proven to be erroneous. Protein is a chemical compound essential to many of our biological processes - most notably for bodybuilders, the building of muscle. Protein synthesis (the converting of amino acids to proteins to repair and rebuild) can only sufficiently occur if an adequate amount of protein is consumed. Given bodybuilders subject their muscles to greater stresses than the average person, it follows their diets should be comprised of a higher percentage of protein. A good starting point (one that has been know in bodybuilding circle-numbers for some time) is one gram of protein per pound of bodyweight. More is better in my experience. Many take in almost double this amount. Eating plenty of protein is probably the second most important variable, after training intensity, when it comes to building size. 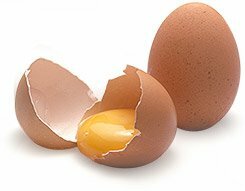 Foods rich in protein include eggs (which contain the highest biological value of any food protein), milk, chicken and red meat. One should make an effort to consume 30-40 grams of protein 5-7 times per day. One reason for not gaining sufficient size, is a lack of protein, and this can often be attributed to the inconvenience associated with correct meal timing and planning: supplements will help in this regard. Sleep is crucial for many reasons. For bodybuilders, sleep will assist the protein synthesis mentioned in the last section and help to mentally recharge the lifter for their next training session. Sleep also assists testosterone and growth hormone manufacture. One thing to remember about sleep is the fact it often means 8+ hours without food. This could spell disaster for the serious lifter as the muscles might eventually begin to break down their structure to supply glycogen to the brain and other organs (gluconeogenesis). 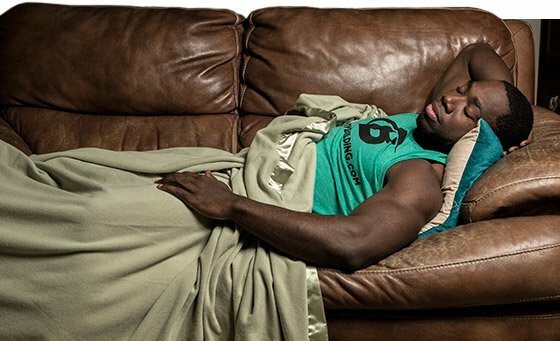 "Sleep will assist protein synthesis and help to mentally recharge the lifter for their next training session." Take a warm bath before retiring. Eat a small amount of carbohydrate. Retire at the same time each night. Don't watch television in bed. Thinking positively will enhance the muscle-building process in a number of ways. Quality of training will improve if one is able to approach each session with confidence and an expectation they will achieve their training goals. If one is experiencing negative feelings, this will have a negative impact on their training. For example, dwelling on a negative event while trying to apply maximal intensity will take the mind (arguably the most important muscle-building organ) off what is to be achieved - namely, a complete connection between mind and muscle. Speaking about ones body in negative terms will also impede progress. The body should always be spoken about on a favorable light, without losing sight of exactly what needs to be improved upon. Indeed, visualizing greatness will, in turn, become a self fulfilling prophecy and goal attainment should stem from this. Practice positive self-affirmation (repeat positive statements to oneself on a regular basis). Negative stress is probably the single most destructive thing one will encounter on their road to superior muscle growth. Everybody, everywhere, encounters a certain amount of stress, on a daily basis. This is natural, and survival is dependant upon it. Eating, training and talking are all stressful, and we should never avoid any of these. However, these are largely unavoidable and positive forms of stress. Negative stress (distress), on the other hand, is to be avoided for it can undermine any attempt to relax and grow (key aims of any bodybuilder). 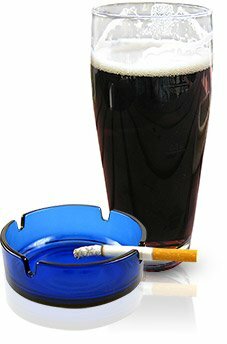 These events include smoking, drinking to excess, negative thinking, incessant arguing and lack of sleep and can cause the release of large amounts of cortisol. Cortisol is the body's main stress hormone, its release causes all manner of problems: constricted arteries, high blood pressure, the shutting down of various organs in preparation for fight or flight and thickened blood. Cortisol will literally consume protein tissue, and enhance the deposition of fat - exactly what a bodybuilding does not want. Try to remain optimistic (eliminate negative self-talk). When encountering a problem, focus on a way forward rather than the problem itself. Contrary to the muscle-destroying reputation aerobics have gained, they are, in fact, essential to muscle growth. Aerobics will enhance, not only the metabolisms ability to burn fat, but also the removal of waste products (lactic acid) and the transport of oxygen and nutrients to the muscles where they are used to good effect - to build them bigger and stronger. 6:30 A.M. 45-minutes of brisk walking. Fat consumption is often thought of as counterintuitive when muscle-building and weight loss is the aim. Fat intake is not this clear cut. One must remember there are different types of fats, which serve separate functions. It is widely recommended that saturated fats (animal fat, solid at room temperature) are avoided as they are known to contribute to various health problems, including heart disease. However, bodybuilders are advised to include a certain amount of saturated fat in their diet as it is thought cholesterol (often found in food which contains saturated fat) and saturated fat, in addition to all other fat sources, boosts testosterone levels, which, in turn, contributes to gains in muscle size (Berardi, 2004). In fact, one study demonstrated that by decreasing dietary fat (which included the saturated type), both total and free testosterone levels were reduced. Upon resuming the fat inclusive diet, testosterone levels returned to normal. 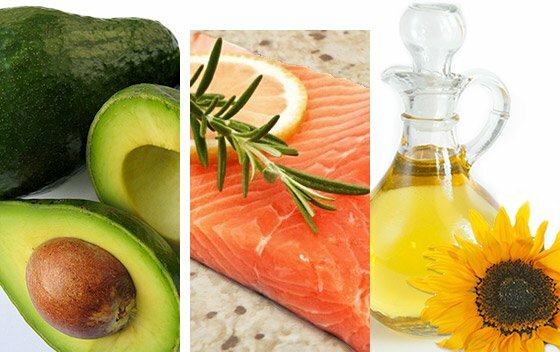 This study underscores the importance of dietary fat as a whole. "It is clear that fats should be included if overall health, and muscle growth, is to be achieved." The essential fatty acids (EFA's: Omega-3 alpha-linolenic acid and Omega-6 linoliec acid) are the fats most often referred to as beneficial for bodybuilders. Omega-3, found in all cold water fish, and Omega-6, found in evening primrose oil, and safflower and sunflower oils serve a variety of functions and should be included in anyone's diet if general good health is sought. The generating of electrical currents that make our heart beat in an orderly sequence. The enhancement of peroxide production thus helping to build the immune system: EFAs make hormone-like eicosanoids. These regulate immune and inflammatory responses. Omega-3s can slow autoimmune damage due to their anti-inflammatory properties. Joint maintenance: Together with calcium, Vitamin C, D, K, and boron, EFA`s improve bone mineralization. It is clear that fats should be included if overall health, and muscle growth, is to be achieved. It is probably best to include essential fatty acids primarily, as their functions are more conducive to overall health, while saturated fats are to be included, but in smaller amounts. A major problem affecting many over-enthusiastic lifters is overtraining. The condition of overtraining comprises a number of symptoms, which can destroy motivation and rob the bodybuilder of any possibility of continued growth—regression being the likely outcome. overtraining stems from a continuation of training, despite warning signs suggesting one should cut back on, or cease, their current routine. 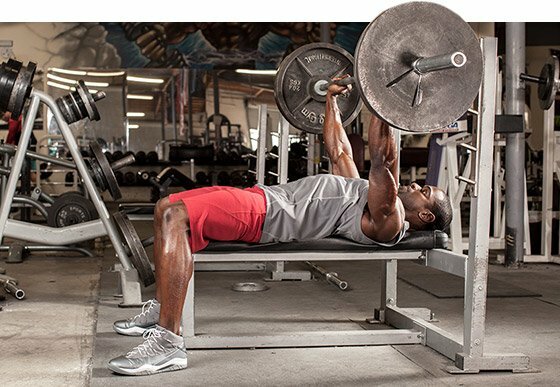 When striving for massive increases in muscle, one often pushes ones body to the limit, without realizing that rest is as essential a component in muscle building as intense training. Failure to rest adequately might result in an over-trained state. Symptoms of overtraining are physical and psychological and include, elevated waking pulse rate, elevated morning blood pressure, increased joint and muscle-aches, headaches and tremors, tiredness, listlessness, insomnia, loss or decrease in appetite, injury, illness, chronic fatigue, insatiable thirst or dehydration, susceptibility to colds and flu, frequent minor infections and altered function of the endocrine, immune, and central nervous systems, (physical) and increased apathy and irritability, mood and sleep disturbances, depression, anxiety, reduced ability to concentrate and lack of appetite (psychological). Limiting training sessions to 45-minutes or less to lessen the protein degradation that results from pronounced cortisol release. Ensuring adequate relaxation and sleep. Making gradual increases in training intensity over a period of time rather than working maximally from the outset. Occasionally taking lay-offs to help renew enthusiasm and, more importantly, off-set the preliminary stages of overtraining. Eating a nutritious diet with sufficient vitamins, and minerals along with the bodybuilders best friend, protein. The body will simply fail to adapt to any training stimulus if diet is inadequate. The bodybuilding diet (comprised of whole foods) should serve as a solid foundation for ones training program. Many enhance their programs with the inclusion of supplements. Supplements, as their name suggests, should supplement ones diet, not serve as its basis. This is not to say supplements are unimportant, as they are. Various supplements can be immensely valuable as they supply important nutrients, and other anabolic compounds, in a convenient, concentrated, package. The market is flooded with different types of supplements, and the nutrition industry is growing by the day, so consumer interest is certainly strong. This underscores the efficacy of supplementation - customers continue to come back for more because they are happy with the results they are getting. In my opinion, the best supplement available. Whey protein, when used correctly, renders other forms of protein (food and supplement) obsolete. Whey protein has been shown to contain the perfect combination of amino acids (building blocks of protein). Furthermore, it serves as a direct precursor to muscle-building. A good multi-vitamin/mineral supplement will act as an insurance policy to cover any nutritional gaps. If one becomes deficient in a particular nutrient (say one of the B-vitamins) their body will not perform optimally. Since 1992, creatine monohydrate has taken the bodybuilding world by storm. Creatine assists energy production and, as a result, leads to more intense workouts. It also super-hydrates muscle cells with water and causes muscle fibres to grow bigger and stronger. Creatine is a compound naturally manufactured in our bodies (in the kidneys, liver and pancreas), which is converted into creatine phosphate upon entering the muscles. Creatine phosphate helps to produce ATP, our primary energy molecule. Bodybuilders are naturally drawn to the effects of creatine, so much so, it is now a staple part of many of these athletes diets. Around 60% of free-form amino acids circulating in the muscles are L-glutamine. Thus, L-glutamine plays a significant role in protein metabolism. Other tissues also need L-glutamine and will rob the muscles if they are not getting an adequate supply. It is therefore important to supplement with L-glutamine to ensure the muscles receive a continual supply, so as to continue repairing. Achieving success in bodybuilding involves a continual process of learning and experimentation. Reading articles like this one, and perusing sites like Bodybuilding.com, will help to arm the aspiring bodybuilder with information to help them on their quest to physical greatness. Books, videos, and expert advice will also assist this aim. "Achieving success in bodybuilding involves a continual process of learning and experimentation." Without first learning the basics of bodybuilding, and as one advances, more specialized techniques and dietary principles, one will never progress beyond the beginner stage. Indeed, keeping informed about new scientific advancements and what is going on in general in bodybuilding will help one to progress beyond their genetic limitations, and transform their physiques for the better. Many bodybuilders spend a great deal of their time looking for certain secrets to further their aspirations. In bodybuilding there are not secrets. 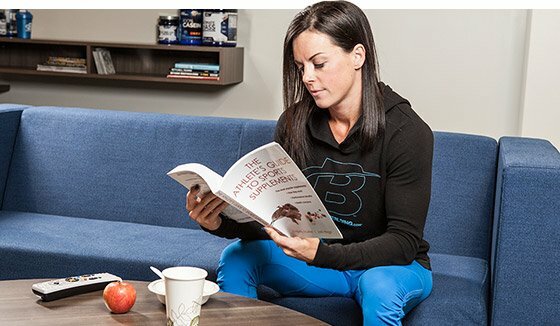 What has been tried and tested, and shown to work remain fundamentally prerequisite: progressive resistance training, protein intake, sleep, positive attitude, stress management, aerobic training, fat intake, overtraining avoidance, supplementation and a willingness to become educated remain among the most important facts any bodybuilder will come to learn. Berardi, J.(2004). Testosterone, Environment and Lifestyle. Bodybuilding.com.